Have a design in mind? Get started with our online custom stubby holder design tool. Not sure where to start? Have a look through our pre-designed templates. Design your own custom stubby holder today. Wedding stubby holders, buck’s night stubby holders, hen’s night stubby holders, promotional stubby holders or clubs and sporting event stubby holders can all be personalised with your logo, photographs, images, poems or phrases. If you are looking for a fresh and innovative way to promote your business, corporation or corporate event a custom-printed stubby holder is an inexpensive way to do it. Business stubby holders can incorporate your company logo, a photograph or any image you to choose to promote your business at a low cost. 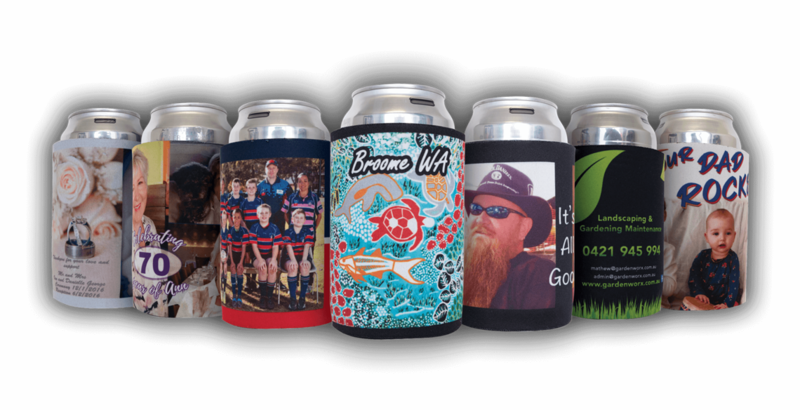 With the custom stubby holders by My Stubby you can order as many as you need, from one-off printed stubby holders to bulk runs in the hundreds.